I love travelling and writing, meeting people and experiencing foodie places. There's many eateries in the Terrigal area so it can be difficult to decide where to eat for lunch. While a friend and I strolled along the shops, we spied Bella Natural Food Co. As my friend has a number of food allergies, we checked out the menu in Bella's and the choices appeared to be healthy options so we thought we would give it a try. 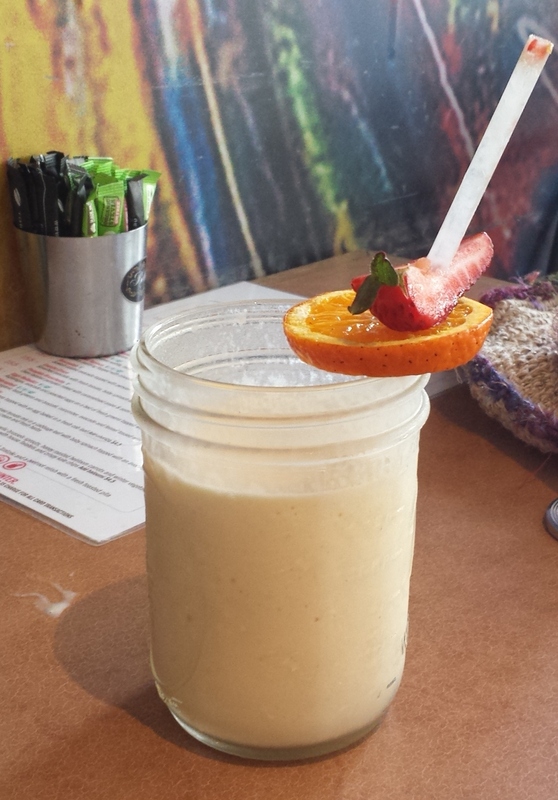 I ordered the mango smoothie which arrived with the straw pierced through segments of orange and strawberry. The smoothie was a winner. My friend and I ordered the same meal from the counter, a Veggie Rissole Wrap. The wrap contained rocket, roast pumpkin, mushrooms, and their own sweet chilli sauce ($10.50). I usually prefer a meat in my wraps or on sandwiches but these vegetarian dishes were absolutely delicious. Bella's like to give their customers healthier options of fresh salads, rolls and wraps. They have vegan, dairy free, gluten free and low sugar choices but don't sidestep the delectable-looking home-made cakes and sweets. 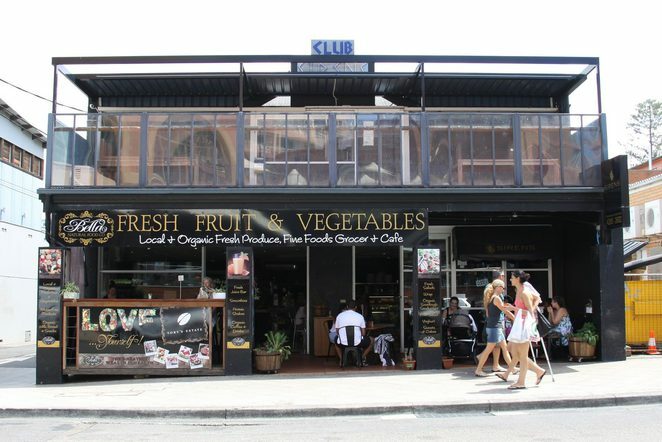 They have a range of fresh fruit and vegetables for sale as well as local fine foods, preserves, marinades, gourmet cheeses, home made dips and gluten free products. 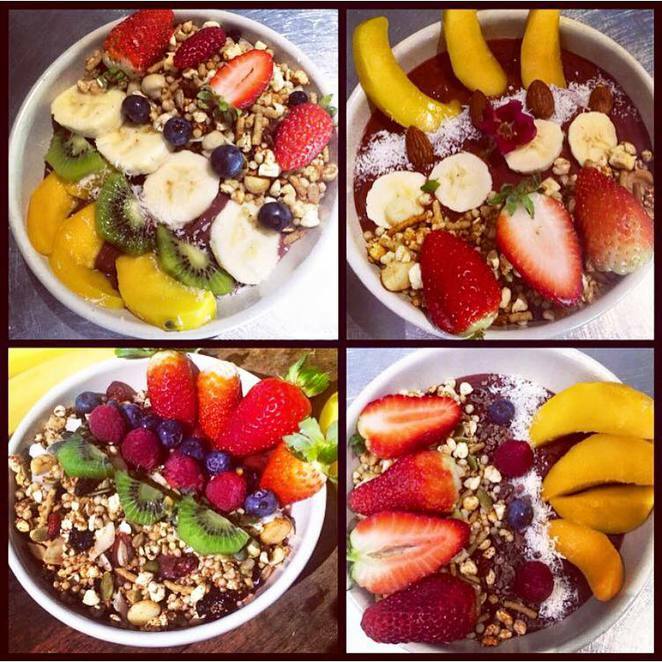 It's easy to see why Bella Natural Food Co. was named one of the 50 healthiest cafes and restaurants in Australia. They opened another cafe last year, so if Terrigal is too far to get to, they are also now at Erina.